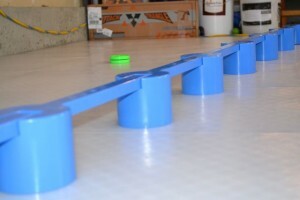 SweetHands is a Really Useful Hockey Stickhandling Aid that Can Be Utilized in Many Different Ways! 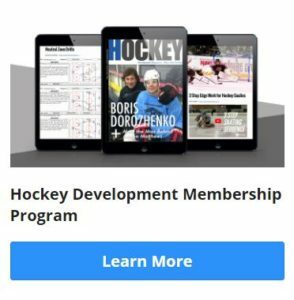 If you’ve been following along with our Home Hockey Training Center course, you probably know by now that versatility is one of the biggest selling points for me when it comes to selecting hockey training products. I like products that will give me multiple uses, and that can be combined with other products to make an even more creative “work space.” SweetHands definitely fits that criteria! 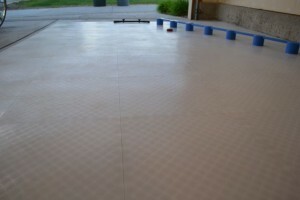 Durable product that can be used on or off the ice. Comes with two end pieces and six middle pieces, so you can use it as one 8′ set-up, two 4′ set-ups, or any combo in between. Lightweight (less than 9 lbs), and since the pieces come apart, it’s really easy to bring it to the rink with you. Comes with a drill book and a 29 min DVD, which gives you plenty of ideas on different ways to use the product. Can be used in a wide variety of ways, in combination with lots of other products… just be creative! Setting up your SweetHands is easy. The pieces just snap together, and you’re up and running in seconds. I liked being able to choose how many pieces to include in my set-up. As you see in the video, I messed around with a few different combinations to work on different aspects of stickhandling. I also like how durable this product is. I had seen some durability demos on other videos (kids stepping on the SweetHands “crossbars” with skates), but I wasn’t planning on actually putting hat to the test… However, my rambunctious 4-year-old thought otherwise. I caught him walking tightrope style across the SweetHands unit, AND jumping up onto the crossbars like plyo jumps, and trying to land and balance on them! I’m happy to report, the SweetHands held up to the abuse just fine. Sweethands is a pleasure to use. It works really well, and does exactly what it was designed to do. As I was making the video, I kept thinking how much better a stickhandler I would be if I would have had some of these tools available to me as a kid! I had a lot of fun putting this post together. SweetHands is a great product, with lots of versatility, and the capability of making you a better hockey player if you use it consistently. It’s lightweight, portable, and easy to put together and take a part. 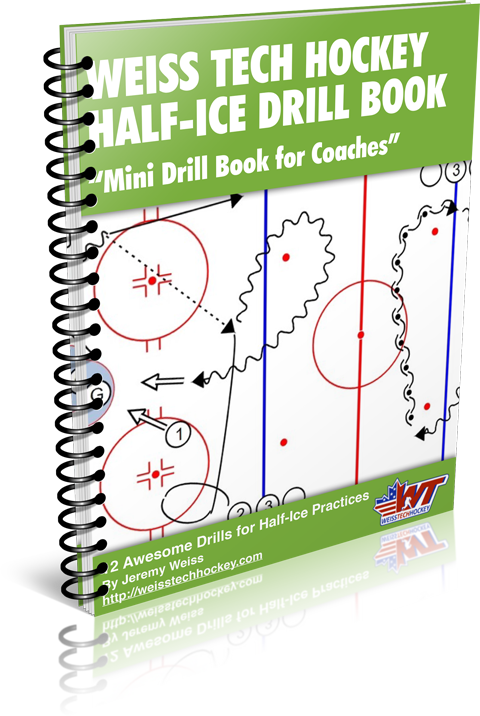 The drill book and DVD are two added bonuses that are VERY worthwhile! In fact, if it were sold separately (which it’s not), I’d recommend picking up the DVD even if you didn’t get the SweetHands unit itself, it’s that good! I definitely recommend this product to anyone looking to improve their stickhandling off the ice!